Inspired by the release of the movie Food Inc in Australia, Madge was curious to explore and compare the Australian experience with the US situation. Here are some of our initial findings and recommendations with regard to beef and chicken farming, the two largest groups of meat currently consumed in Australia. Feedlots are a part of the Australian meat industry. Meat processing companies in the film Food Inc have operations in Australia. For example "JBS, based in Sao Paulo, Brazil, and the largest beef processor in the world, acquired Swift & Co. in 2007, forming JBS Swift Group, the third-largest beef company in the US and including major meat works in Australia." In the past few years JBS Swift has purchased Australian Meat Holdings (2002); Tasman Group (2009); Tatiara Meat Company (2009); feedlot processing facility at Rockdale Beef, Yanco, NSW (2010) and is rumored to be in talks with Castricum Brothers export facility at Dandenong. Feedlots were established partly so we could have more consistent meat. But is consistency a desirable trait for meat? Listen to this interview with butcher Vince Gareffa from Mondo de Carne in Perth. He talks about how modern improvements altered food to be pretty but later he realised we need food to be natural. "We need to eat that apple off the tree when it's ripe, not stored for six months. We need to eat the meat and have a happy chew, not turn around and expect it to be butter." He said that from 60-80% of beef in Australia is hormone assisted. Hormones were banned in chickens in the 1970's. He wants natural food. Grass feeding "will give inconsistencies but they are inconsistencies that we can fall in love with". Are we forcing farmers to use techniques that are damaging to us all? Is it better to have an inconsistent and varied supply of grass fed meat or lots of cheap, mass produced meat? Should we be supporting family farmers or trusting large corporations to feed us? There is now new research available that shows the superior nutritional profile of grass fed meats as well, meaning it is more nutrient dense, more filling and that smaller portion sizes are required to feel sated from grass fed beef. An Australian study, from RMIT, comparing three different types of diets for cows also found higher levels of Omega 3 and conjugated linoleic acid (CLA) in grass fed beef compared with grain fed beef. Beef production has been blamed as a source of global warming by producing large amounts of methane; however grass-fed beef farming is now presented as an alternative for reducing global emissions, as this article 'How Cows (Grass-Fed Only) Could Save the Planet' explains. It is one of the many examples of organic farming that employs agricultural techniques to capture carbon and store it in the soil. The term grass fed beef is not widely used in Australia, with the general public assuming that all beef cattle are raised in paddocks on grass. Australian farmers predominantly do have the ability to grass feed cattle for most of their life, but may still practice 'fattening up' cattle in the last 2 to 3 months of thier life on grains or when drought conditions mean no more feed is available to grow. Of more overall concern then, for beef, would be the nature of the conditions of grain feeding and the type of grains fed to to the cows in the last few months of their lives. If these grains include left over meal from GM crops like canola or cotton, or imported GM corn these are best avoided. Grass fed and organically certified beef is your best bet to avoid this possibility. Buying Grass fed and organically certified meat in Australia is presently still more expensive than conventionally raised meat, but consider buying smaller portion sizes, and the benefits of quality over quantity, and you will reap the rewards. Organic Direct delivery service for Victorian, free range and organic certified meat in bulk. Hollyburton Farm which produces organic beef, lamb, Madeleine's eggs and free range pork. 788 million meat chickens are in "factory farms"
The corporate industry owns the bird and the feed and the grower (farmer) owns the shed and is vulnerable to exploitation. Thankfully there are now more free range and organic suppliers of poultry in Australia. This article from the UK shows the power of the consumer to drastically reduce intensively farmed chickens in their country, we have the power to do the same here. Insist on knowing where your poultry is from and how it is treated. Chicken is increasingly being sold or marketed as 'free range' due to market demand. However free range can also refer to birds that are not kept in a cage, but are kept in-doors, in large sheds with thousands of other chickens who may have little room to actually range freely in this environment, even though they can still be classified as free roaming or 'cage free'. This recent 7.30 report by the ABC details the case by the ACCC who are investigating the claims made by chicken producers regarding the term 'free to range'. Ideally, chickens, like most animals, should be outdoors under the sun during the day, then given shelter at night. A true free range chicken can forage on vegetated areas outdoors with not too much competition for foraging from other birds while having a place undercover to nest at night. Chicken producers La Ionica and Lilydale used to guarantee their chickens were not fed GM feed. However in February 2016 a customer discovered 'Lilydale have changed their policy. Her Facebook post caused a huge social media storm that reached the papers. 'La Ionica' no longer mentions GM on their FAQ page. It would be in the interest of chicken producers to claim a shortage of non-GM feed while using GM feed. GM canola sells for roughly a $50 tonne discount' due to lack of demand. 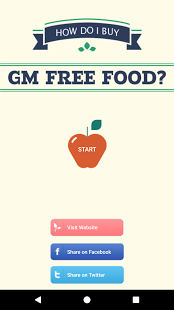 It is to be hoped that consumer demand for non-GM fed chicken will encourage La Ionica and Lilydale to insist on GM-free feed which, in turn, would support GM-Free farmers. If they persist with GM-fed birds it could be an encouragement to find alternatives to these large brands. Summerlad Chickens that are pastured (but could possibly be fed some GM grain). These are designed to be slow growing outside chooks. Golden Duck Farm (selling Duck eggs and duck meat) produces the only accredited free range ducks in Victoria under the name of Mickleham Free Range. They make no mention of whether they use GM feed or not. Watch this page for fruther information on sourcing sustainably farmed produce in Australia. Delight in food starts at a very young age!